The Amir of Basrah Abu Musa al-Ash’ari (Radi Allahu Anhu) sent him to lead an expedition at Makran and Kerman (modern day south east Iran) (Chach Nama pg no.73). In the 23 of Hijri he was part of the conquest of Makran (Tarikh at-Tabari vol no.4 pg no.181, Isabah vol no.1 pg no.246). One of his narrations is present in Sahih Bukhari and he also has narrations present in other books of hadith. He was with Hakam Ibn Amr Tha’labi (Radi Allahu Anhu) in the conquest of Makran and through him Umar (Radi Allahu Anhu) received the good news of the conquest and spoils of war. He narrated two or three ahadith from the Messenger of Allah (Sallalahu Alayhi Wa Sallam). He was counted amongst the scholars of Basrah. In the 23 of Hijri he was part of the expeditions of Faris and Makran. During this era he provided excellent assistance towards conquering Sijistan (part of modern day eastern Iran, southern Afghanistan and western Pakistan) and some connecting areas of Sindh. Uthman (Radi Allahu Anhu) sent him on an expedition to Makran in the 29th of Hijri. Urwah Ibn Zubair and Ibn Sirin narrated from him. In the 31 of Hijri he was part of the conquest of Qufs (modern day south Afghanistan and Balochistan) and Kerman. His narrations are present in the Sahihayn. He was part of conquering Khurasan, Sijistan, Zabulistan (modern day south Afghanistan) and Kabul etc. During these expeditions he was also part of conquering some areas of Sindh and Makran. He narrated from the Messenger of Allah (Sallalahu Alayhi Wa Sallam) and many of the Kibar Tabi’in narrated from him such as Sa’id Ibn Musayib, Muhamad Ibn Sirin and Hasan Basri etc. He entered Sindh in 42 Hijri for the first time and carried out expeditions. The second time he entered it he came back as a leader of the expedition and conquered a lot of areas. 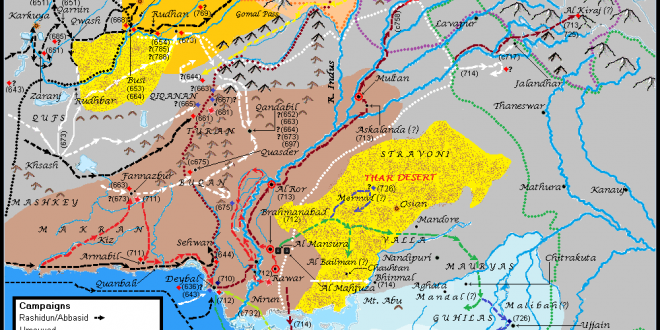 In addition to the above, Suhail Ibn Adi Ansari, Asim Ibn Amr Tamimi, Abdullah Ibn Abdullah Ibn Utban Ansari, Mugirah Ibn Abul ‘As Thaqafi, Mundhar Ibn Jarud Abdi, Uthman Ibn Sa’d and other than them (Radi Allahu Anhum) were part of the conquests of Sindh and Makran. All of these companions found blessings and success in Sindh. In the year 62 Hijri Sindh was blessed with the burial of Mundhar Ibn Jarud Abdi (Radi Allahu Anhu) who passed away here. According to some researchers he is the only companion buried in this land. He was alive during the time of the Messenger of Allah (Sallalahu Alayhi Wa Sallam) but sadly did not meet him. Khalifah Ibn Khiyat mentions that he was a judge in Sindh during the era of Uthman (Radi Allahu Anhu). (Tarikh Khalifah Ibn Khiyat). He was the first Islamic judge of Sindh. He stayed in Sijistan, Makran and the surrounding areas in Sindh for at least two and a half years during the era of the rightly guided caliphs. He carried out expeditions as well as spreading knowledge. In the year 30 Hijri he was the scribe and administrator of Rabi’ Ibn Ziyad Harithi (Radi Allahu Anhu). He would fight for Islam and give Islamic verdicts. Ibn Sa’d has mentioned that in the era in which Hasan Basri was busy carrying out expeditions, Jabir Ibn Yazid would give Islamic verdicts in his place, and when Hasan Basri would return he would give Islamic verdicts. (Tabaqat Ibn Sa’d vol no.7 pg no.180). In the year 30 Hijri he was with Hasan Basri in the expeditions around Sindh. He also gave Islamic verdicts here. He was the paternal cousin of the famous companion Anas Ibn Malik (Radi Allahu Anhu). Imam Bukhari and Ibn Sa’d have mentioned that he was martyed during the expeditions at Makran. (at-Tarikh al-Kabir vol no.2 pg no.67, Tabaqat Ibn Sa’d vol no.7 pg no.209). His narrations are mentioned in the six books of hadith. He is mentioned by Ibn Makula in al-Kamil that Jubayl heard hadith from Qays Ibn Yasar. (al-Kamil vol no.1 pg no.272) In another part of al-Kamil Ibn Makula mentioned that Jubayl’s name is Muhamad Ibn Azaz Ibn Aws and he was killed in Sindh. (al-Kamil vol no.1 pg no.565). Both the student and teacher were present in Sindh at the same time. He has been briefly mentioned above. He was a great Tabi’i and conquered the city of Irma’il in Sindh in the year 140 Hijri. (Jamharatul Insab al-Arab). He narrated from Abban Ibn Affan. Khalifah Ibn Khiyat classified him as a one of the judges of Islam. He carried out expeditions in Sindh in the year 44 Hijri and he conquered Qandabil (modern day Balochistan). He narrated from Abdullah Ibn Umar, Abdullah Ibn Amr Ibn ul-‘As and Bara Ibn ‘Azib (Radi Allahu Anhum. Those who narrated from him are Samak Ibn Harb, Abu Ishaq Sabi’i and Umar Ibn Thaqif etc. There are many narrations of his present in the books of hadith. In the year 45 Hijri he was part of the expeditions in Sindh by being a successor to Abdullah Ibn Siwar Abdi. He is from the era of the Taba Tabi’in. He narrated from the likes of Ta’us and Ata Ibn Abi Rabah etc. Those who narrate from him are Sufyan ath-Thawri and Fudhayl Ibn Gazwan etc. He used to stay with his master and be present in the expeditions of Sindh. He was present in the expeditions of Qayqan in the year 50 Hijri. He was one of the well known pious Muhadith scholars of Basrah. He narrated from the likes of Hasan Basri. He is counted amongst the trustworthy pious worshipers of Basra. He came to Sindh many times. He narrates from the likes of Hasan Basri and Thabit Banani. The likes of Hammad Ibn Zayd narrates from him. He was a very pious worshiper from the Muslim Ummah and was a Tabi’i. He was with Muhamad Ibn Qasim in the year 93 Hijri during some of the battles in Sindh. The likes of Waki’ Ibn Jarah and Abdullah Ibn Mubarak narrates from him. He is the father of Iyas Ibn Mu’awiyah who was a Islamic Judge. He was a famous Tabi’i and trustworthy Muhadith. Ibn Kathir mentions that Abdul Malik sent him to Sindh where he worked hard in spreading the religion. He narrated from some companions such as Ma’qal Ibn Yasar, Abu Ayub al-Ansari, Hakam Ibn Abul ‘As Thaqafi, Abdullah Ibn Mugafal (Radi Allahu Anhum) and other than them such as scholars from the Tabi’in. The likes of Imam Zuhri narrates from him. He was with Muhamad Ibn Qasim during the conquests of Sindh and Multan. He provided a great amount of support during the conquests. (Futuhul Buldan pg no.423). Ibn Sa’d mentioned him amongst those people from Kufa who were Tabi’in and narrated from Abdullah Ibn Umar, Abdullah Ibn Abas, Abdullah Ibn Amr Ibn ‘As, Jabir Ibn Abdullah, Nu’man Ibn Bashir and Abu Hurayrah (Radi Allahu Anhum). His brother, Rawah Ibn Umayr Ta’i, was also part of the conquests of Sindh with Muhamad Ibn Qasim. He came to Sindh and died after 18 days. (Futuhul Buldan pg no.423). One of this narrations is mentioned in Sahih Bukhari in the book of Jihad regarding fasting whilst travelling. He was part of the conquests of Sindh with Muhamad Ibn Qasim. Ibn Hajr mentions that he was a Tabi’i who narrated a lot of ahadith. He was part of the conquests of Sindh with Muhamad Ibn Qasim. He was made a leader of Maymanah. (Chach Namah pg no.101). He narrated from the likes of Abu Hurayrah, Abu Sa’id al-Khudri and Abdullah Ibn Abas (Radi Allahu Anhum). He was part of the conquests of Sindh with Muhamad Ibn Qasim. He stayed here for a number of years after the battles. (Tarikh at-Tabari vol no.8 pg no.19). The likes of Imam Sufyan at-Thawri narrated from him. All of them were known with the kunyah of Ibn Ulayah and were excellent scholars. The famous Imam Abul Abas al-Asm (Died 346 Hijri) used to teach in Baghdad. He had students of knowledge from around the entire world who would come and study from him. Imam Abu Abdullah Hakim said that I have not seen any study class in any city of the world of Islam which has students of knowledge from the East and West than the class of Imam Abul Abas al-Asm. It is also mentioned that a group of students of knowledge came from Mansura (Which is near modern day Shahdadpur in Pakistan), Multan and Sijistan etc. to his classes. (Ansab of Sam’ani vol no.1 pg no.9291). In Sindh, Lahore and Qanuj also gave rise to people of knowledge. Qalqashandi said, “The city of Lahore is a very big and blessed place. A group of scholars have come from here.” (Subhul A’shi vol no.5 pg no.76). Maqdisi Bashari said, “There are very big scholars in Qanuj.” The first person to have conquered Qasdar was Mundhir Ibn Jarud Abdi (Radi Allahu Anhu) in the year 62 Hijri. Apart from the above there were numerous scholars who were from the Sindh region. Rabi’ Ibn Sabih was the first person to author a book in Basrah and after him it was Sa’id Ibn Abi Arubah. (al-Muhadith al-Fadhil pg no.611). After he added fiqhi codification to ahadith he went to Sindh for Jihad and died and was buried there in 160 Hijri according to the historians. Imam Bukhari mentions that he died in the land of Sindh in 160 Hijri. (at-Tarikh ul-Kabir vol no.2 pg no.285), Ibn Hajr also mentions this from Muhamad Ibn Muthana etc. (Tahdhib at-Tahdhib). Abu Ja’far Tusi mentions in Kitab ul-Fihrist that Abul Faraj Sindhi authored a book which was narrated through the chain of Muhadithin to us. (Mu’jam al-Musanifin vol no.3 pg no.33). Abul Faraj Sindhi was well known scholar of the past who narrated ahadith. Ali Ibn Ahmad Debali’s book Adab al-Qadha was a well known accepted book of those who followed the Shafi’i madhab. Abu Umar Ahmad Ibn Sa’id Hindi Qurtubi was an exceptional scholar of this time. He authored a book on Ilm ash-Shurut which was very beneficial and detailed. This was widely accepted and relied upon by the scholars of Magrib and Andalus just as it has been mentioned by Qadhi Iyadh in Tartib al-Madarik. Abu Nu’aim mentions that Abu Ishaq Ibrahim Ibn Sindhi was an excellent scholar of Usul. (Tarikh Isfahan vol no.1 pg no.193) It seems as though he had a well known book of Usul. Abu Bakr Muhamad Ibn Raja Ibn Sindhi Isfara’ini took the book of Sahih Muslim and narrated it through the chain of Imam Muslim’s teachers or the teachers above them. A book written like this is called an Istikhraj and Takhrij. This book was called Mustakhraj Abi Bakr Sindhi Isfara’ini where only a remnant of it is now available. He became well known as Sahib us-Sahih Ala Shart Muslim. (Tadhkiratul Huffadh vol no.2 pg no.230). Yaqut Hamawi wrote in Mu’jam al-Buldan, “He authored some books on the Dawudi (Dahiri) madhab.” Ibn Nadim mentions in al-Fihrist that he authored exceptionally good and great books. Some of them are Kitab ul-Misbah, Kitab ul-Hadi and Kitab un-Nir which has also been called Kitab un-Nirin. This book became so famous and well known that he became known from this book and was nicknamed author of Kitab un-Nirin as mentioned by Ibn Qaysarani in al-Insab ul-Mutafiqh. Sheyrazi attributed him as author of Kitab un-Nirin in Tabaqat ul-Fuqaha. The other Sindhi scholar was Abu Bakr Sindhi Khwatimi which Abul Khilal mentions that he was equivalent in companionship and studentship as Abu Harith. He used to stay with Imam Ahmad and his children. He heard important and excellent Masa’il from Imam Ahmad. Abu Ja’far Muhamad Ibn Ibrahim Debali he narrated Sufyan Ibn Uyaynah’s book Kitab ut-Tafsir from Abu Abdullah Sa’id Ibn Abdurahman Makhzumi. 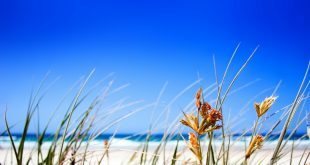 He also narrated Abdullah Ibn ul-Mubarak’s book al-Bir Wa Sula from Abu Abdullah Husayn Ibn Hasan Marwazi who narrated it from Abdullah Ibn Mubarak. (al-Aqd ath-Thamin Fasi pg no.397). Muhamad Ibn Ibrahim Debali had the unique reputation of narrating these two books. The scholars of hadith used to narrate books from him.